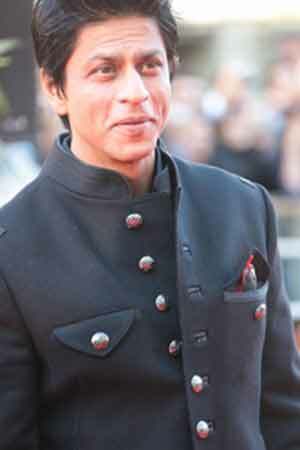 Bollywood superstar Shah Rukh Khan, who has donned the garb of a superhero in "Ra.One", says his new film is dedicated to all the fathers in the world. "Ra.One is a simple story of a father and a son. There have been a lot of movies and songs dedicated to mothers but unfortunately, fathers are ignored. I being a father myself and a part of cinema, decided to give them all some space through my film," Shah Rukh told reporters here Sunday. "The film is dedicated to all the fathers in the world. I hope this film will help bring fathers at the front and make me a hero in the eyes of my son," he added. The actor, who has two children - son Aryan, 13, and daughter Suhana, 10 - with wife Gauri Khan, was named the global ambassador of Kingdom of Dreams situated in Gurgaon. Dressed in a black suit, shirt and tie, the star dazzled in his newly-acquired leaner look. "Ra.One" is a science-fiction superhero film directed by Anubhav Sinha. Apart from Shah Rukh, the film also stars Kareena Kapoor and Arjun Rampal. It has been produced under Shah Rukh's production banner, Red Chillies Entertainment. Shah Rukh will also be seen doing some daredevil stunts in the film.